We were going to post this as an update to our piece on the bill Baton Rouge legislators Franklin Foil and Bodi White announced this morning seeking to return the ITEP program to state control and reduce the chaos Gov. John Bel Edwards made of Louisiana’s economic development efforts by giving entry-level politicians on parish councils and local school boards a veto over industrial property tax abatements, but we figured this is worth its own post. As we predicted earlier this morning, Foil and White weren’t going to get any cooperation from Edwards on their bill, because for that to happen would amount to Edwards admitting he’d made a costly mistake in an executive order which has led to capital projects diminishing by a stark 72 percent since 2016. And John Bel Edwards’ ego and his lack of confidence in his re-election will not allow him to admit mistakes. This idea that somehow Louisiana is an outlier for not having local governments involved in ITEP is comical, or at least it would be if it wasn’t such a consequential deception. In Texas, local governments are competing with each other to land industrial and commercial developments and they do so without the encumbrance of a state corporate or personal income tax – or, for that matter, a stupid inventory tax like Louisiana has. So the idea that Louisiana is giving away the store without the consent of local governments is a flat-out lie. It’s also highly deceptive to say that Texas doesn’t offer property tax offsets against money that would be spent on public education – Texas’ public schools, particularly in jurisdictions where large industrial plants are sited, don’t get 45 percent of their funding from the state. That Together Louisiana is spewing this garbage isn’t much of a surprise. These people haven’t offered up barely a single accurate statement on anything since the Chicago-based and Alinsky-founded Industrial Areas Foundation squatted over Baton Rouge and discharged them into our midst. What’s more striking is that Edwards would pick up that standard and actively defend the choice to, say, put the East Baton Rouge School Board in charge of determining the future of ExxonMobil’s investments in Louisiana. Most people would regard that as at least somewhat reckless, and therefore one might expect the governor to run and hide when the topic comes up. Instead, he sent Stephens out to advertise his hostility to economic development. 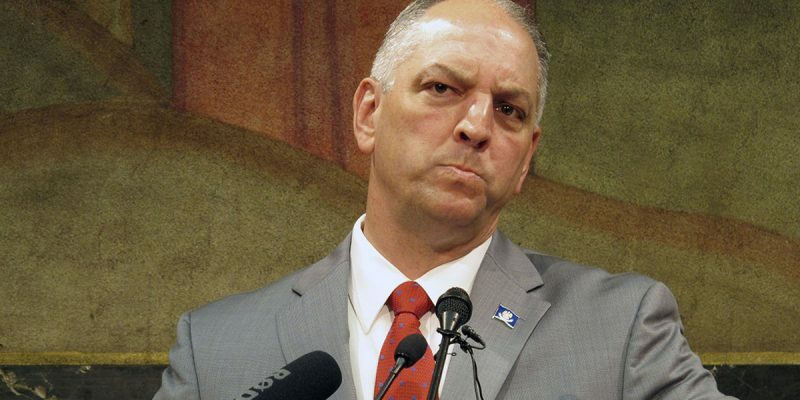 Edwards should rightly be pilloried for this, and it ought to earn him the moniker of Governor Together Louisiana. He’s in lock step with Louisiana’s socialist Left, and nobody ought to forget it.